They say legends never die. Through Kanye West’s “Blood On The Leaves” (which samples “Strange Fruit”) and lyrics in JAY Z’s “Oceans,” especially, revered jazz singer Billie Holiday’s legacy has pervaded hip-hop and popular culture perhaps more than usual recently. It’s a trend that will continue this month as Lady Day makes it’s U.S. debut 20 years after running in Europe. 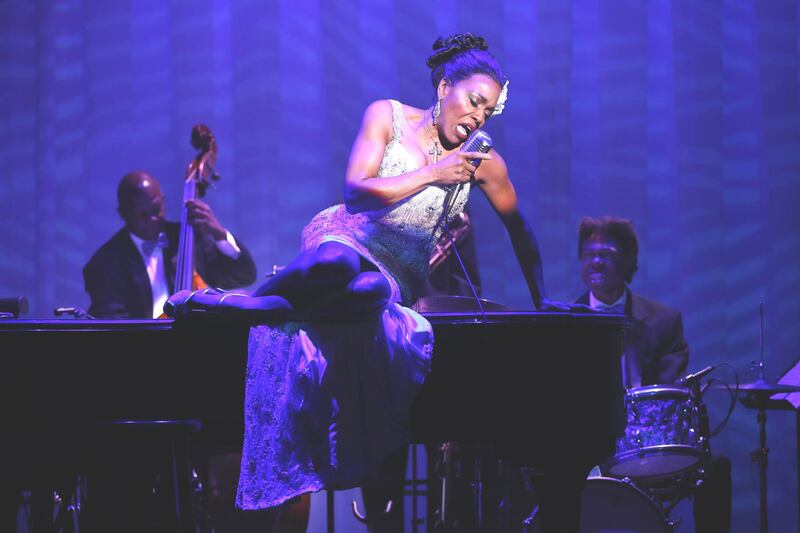 It was Dee Dee Bridgewater who took on the tall task of playing Billie Holiday then, and it will be Bridgewater again embodying the legend now as the play runs at New York’s Little Shubert Theatre. Bridgewater does more than simply try to imitate Holiday. Instead, it is more of an interpretation, with Bridgewater channeling Holiday and telling her story while still maintaining her own identity. Here, Life+Times chats with Bridgewater about the process of (re)creating Lady Day. Life+Times: You’ve done the musical before in London and Paris. Talk about the show getting ready to play in New York as compared to those that were in Europe. 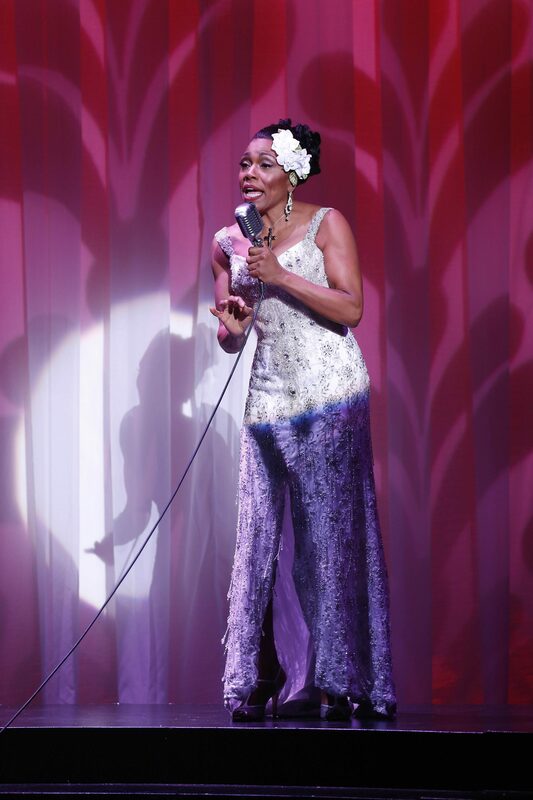 Dee Dee Bridgewater: Well, it’s a new show. It’s been revamped, modernized, brought up-to-date, it’s gonna be a multimedia show, whereas when we did it in the late ’80s in Paris and London it was just a straight musical – or, I’d say, a play with music. There are a lot more elements to it than there were before and the dialogue has been modernized, it has a much nicer flow than back in the ’80s. The staging is different, the place of the musicians on the stage is different, it ends I think on a more positive note than it did before and that’s lovely. I think it’s gonna be a wonderful show. L+T: From your perspective, why was now a good time to bring it back and bring it to the U.S. for the first time? DDB: It was like the stars aligned. Everyone was available. The gentleman who’s producing is a huge Billie Holiday fan. I had, for once, decided not to sign contracts for the fall. Last December, I asked my daughter who’s my manager to hold off on signing contracts for the fall. I told her my gut was saying, “don’t do it.” We signed a lease on an apartment in January in New York City and I got the call for the play in February. We are all saying that this is the moment that Billie wants to be heard. We have a great theatre in Little Shubert. Things just kind of fell in place. L+T: You’ve mentioned that the first time you played the role of Billie Holiday she totally took you over, but this time you don’t want that to happen and want to maintain some of your own identity. Can you expand on that? DDB: The first time I had done the show – by the time I got to London it was the second year; I had done a year in Paris – and I think I had just invited her spirit to come into my body. By the time I did it in London I had morphed into talking in her voice and singing-wise I started sounding more and more like her, to the point that in London, I got fan-mail addressed to Billie Holiday, that would start out, “Dear, Billie,” it was very, very strange. It took me about four months to find my voice when the show ended in London. This time, I’m coming back to Billie with 20 years more of my own personal experience and personal growth. So the choices that she made I can look at them from a whole different vantage point because of the experiences that I’ve had, and I have a lot more information of my own personal self that I can tap into in developing Billie this time around. I say she can own half of my body but she cannot take it over. She’s invited to come in and share this space with me. I feel much stronger as a woman and a person, so she can share the body this time. L+T: Talk about your personal relationship with Billie Holiday, especially given your background as a jazz singer, in particular. DDB: Growing up I was first turned on to Billie Holiday by my first husband – Cecil Bridgewater is his name. He was a trumpet player. When we first got married, he said, “I want you to listen to Billie Holiday.” He had a bunch of albums by her, so when we would be visiting his family in Champaign, Illinois, I would listen to her albums. I remember telling him, “I’m not impressed with Billie Holiday, she doesn’t have any range.” She had a limited vocal range, and at that time, I was more into people like Sarah Vaughan. I was coming out of an R&B period, you know, Aretha [Franklin] was my singer and I had become enamored with Nancy Wilson, so I was coming from a whole other place. I was more captivated by her story when I read her autobiography Lady Sings The Blues, that’s really what marked me. So when I went back and listened to her music after that, I had a better understanding of it. But when I was growing up as a young adult, I never considered Billie Holiday to be a singer, I considered her to be an interpreter. It wasn’t until the ’80s when I was preparing for the show the first time that I did an intensive character study. Lady Day is playing now. For tickets and more information, visit here.